← A TPII Alum Gives a Commencement Address! Number 5 in my series on tenure. After my previous posts The Path and Timeline of Your Tenure File, and The Role of Your Tenure Committee and Department Head, a reader sent in a timeline document of the Department Head’s duties in the tenure process that circulates at her Public R1 social sciences department. I share it here (slightly anonymized) as more data for you to consider. Note that it stops at the departmental level and doesn’t include processes at the college and campus level. Note also that unlike the process I described, this one includes places for the candidate to respond in writing to the reports. I’d appreciate knowing from readers how common that practice is. 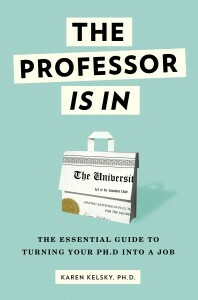 And remember, all tenure processes are local, and general advice such as that I provide in my blog post series on tenure cannot substitute for careful research of written and unwritten practices in your own field, department, and institution. Dept staff make copies for external reviewers. Candidate supplies 1 photocopy of all teaching materials (classes taught, peer and student evaluations, syllabi). Candidate supplies 1 photocopy of additional materials: personal statement, CV, YARS [KK: I assume this means yearly annual research statements]. On May 15, send out official letters of review request, research materials, candidate’s personal statement, and candidate’s CV to external reviewers. Request letters by September 1. On August 10, send email checking in, remind external reviewers of letter return by September 1. When letters arrive, keep original in dept materials, give copies to the review committee chair. Provide review report to candidate (with references to external reviewers redacted). Candidate has one week to respond. Some response is required — anything from got it, read it, thank you, to offering corrections, responses, clarifications. Faculty have 10 days to review full package. Synopsis of this discussion provided to candidate. All materials assembled, copies made, delivered to the College (usually by October 15). Master copy retained in dept. This timeline looks almost exactly like what we’re told to expect at my R1 public institution, but with more (very helpful) detail. One difference: “Dept buys any needed book copies for external reviews.” Lucky them! We have to buy all the books ourselves. Obviously the security of tenure outweighs this expense, but it does strain the month-to-month budget.